"Good tool for the job"
Excellent framework. Most of the basic features are done right. Well documented in most of the places. Some concepts are not well documented and takes time to grasp them. What Blockchain Platforms solution do you use? Ethereum is a platform and a programming language that makes it possible for any developer to build and publish next-generation decentralized applications. Hyperledger is a collaborative effort created to advance blockchain technology by identifying and addressing important features for a cross-industry open standard for distributed ledgers that can transform the way business transactions are conducted globally. SAP Leonardo, a digital innovation system, includes some early-stage blockchain capabilities, and integrates them with other breakthrough technologies such as the IoT and machine learning. Amazon QLDB is a fully managed ledger database that provides a transparent, immutable, and cryptographically verifiable transaction log, owned by a central trusted authority. Amazon QLDB tracks each and every application data change and maintains a complete and verifiable history of changes over time. Amazon Managed Blockchain is a fully managed service that makes it easy to create and manage scalable blockchain networks using the popular open source frameworks Hyperledger Fabric and Ethereum. Mastercard Blockchain facilitates new commerce opportunities for the digital transfer of value by allowing businesses and financial institutions to transact on a distributed ledger. Our technology can power multiple use cases and can help take time, cost and risk out of financial flows. Blockchain is a shared , immutable ledger for recording the history of transactions. It fosters a new generation of transactional applications that establish trust , accountability and transparency-from contracts to deeds to payments. Civic Reusable KYC is the blockchain-based tool for organizations that require more than basic account verification services. MultiChain is a open source blockchain platform which helps organizations to build and deploy blockchain applications with speed. * We monitor all BigChainDB reviews to prevent fraudulent reviews and keep review quality high. We do not post reviews by company employees or direct competitors. Validated reviews require the user to submit a screenshot of the product containing their user ID, in order to verify a user is an actual user of the product. Hi there! 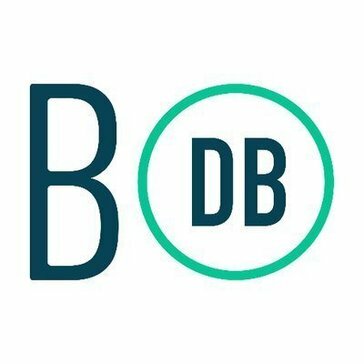 Are you looking to implement a solution like BigChainDB?